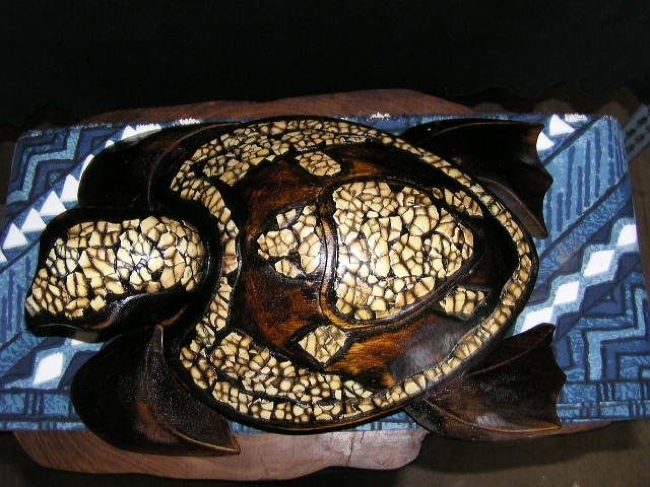 Here is a hand carved turtle hand painted and carefully designed with eggshells creating another turtle on the turtle design. The turtle measures 16 inches long by 9 inches (40cm X 23cm). Great gift idea for turtle lovers and home decoration!